Face to the future challenges, rather than wait for people to challenge, it is better to create their own "disruptive innovation." 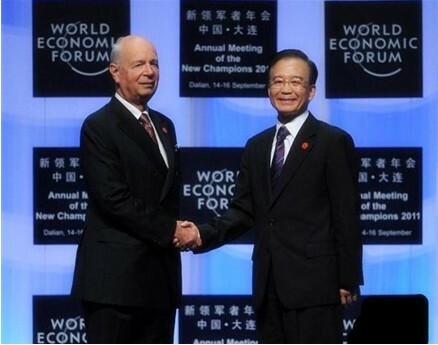 September 14, 2011, the world economy forum 2011 annual meeting of the new champions (The Fifth Summer Davos Forum) opened in Dalian, the forum theme is "concerned about the quality of growth, control over economic pattern." Reference to "quality of growth", it would have to say the innovative a often say often new topic. At the opening ceremony, Premier Wen Jiabao said: "China will adhere to the innovation-driven, accelerate the construction of national innovation system." What is innovation? "Economist" reporter Vijay Vaitheeswaran gives his own views: "Innovation is not just high-tech equipment, knowledge products, the contents it contains is broader than invention, but if you do innovation do not create value for customers, not creating value for employees, in my opinion this is not innovative. Innovation is a new way of thinking, a value-creating way of thinking, but innovation is not necessarily high new technology, is likely to use another way to do the same thing. " This point of view can be found in the Shibang's team." We pursuit the innovation and upgrade of products quality and technology, but our innovation not only this. Starting from the customer experience, and continue to fuse and improve products and services, it is the reason why Shibang succed in the fierce market competition. "Shanghai Shibang operations center director expressed. Why should we promote innovation? "Innovation is not innovate for innovation, not to vary, But in order to survive, to develop, to competitiveness, in order to create a century-old heritage, in order to achieve the dream of manufacturing powerful nation." Talking about the significance of innovation, Shanghai Shibang enterprise development department manager said. In this regard, chairman of Neusoft Liu Jiren point of view worth pondering, "To succeed in business countries need to go faster, can not say something caught in their own hands, and I have some very valuable things, I want to like the runner, the constant running forward every day and ask yourself, what is our goal? so you can not only protect things in your own hands, need to get two answers, first you can't take care of what are in someone's hands, and the second to find the value that someone can not copy. I feel that in order to protect themselves, today's business needs faster than your competitors. " Even the largest global enterprises, it is difficult to say that the preparation has been good enough to deal with challenges anywhere in the world. For is to enter the International, Shanghai Shibang will continue to insist on innovation. And the training of this disruptive innovation cultural is not easy, we need a model. Shibang company Manager Zhao, a management committee member, also shared his views: "First, innovation should be user-oriented, only to meet the needs of users, innovation just has power. In addition, open is the essence of innovation, companies should establish a reasonable mechanisms to support innovation. As enterprise and individual need to pay more attention to their growth and costs. In inside the company, have the courage to challenge conventional thinking and traditional ways of working. Of course, creative talent is also essential, which is why group has been increasing efforts to bring in talent in the past few years. And finally, you also need to give enough time and space for innovation. " Shanghai Shibang today's success is obtain in the process of continuously surpass ourselves. As Premier Wen Jiabao repeatedly emphasized, our desire is not only a "Made in China", but "Created in china "; not only Chinese products, but China's independent intellectual property rights, China's quality, cost-effective, safe and reliable brand.